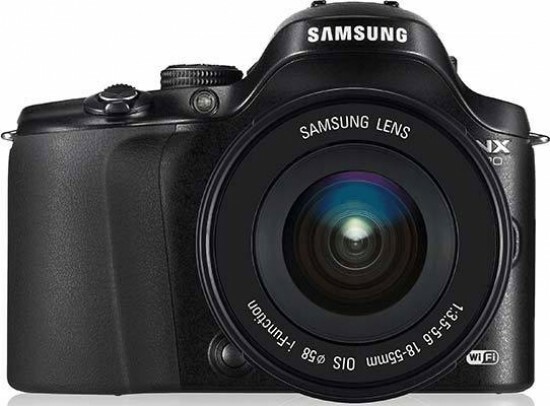 Reviews of the Samsung NX20 from around the web. Samsung’s NX series has been technological from the get-go, but the latest NX20 model - the follow up to the NX11 - adds Wi-Fi to its features list. In today’s connected world that might prick up a few ears: it’s one of the areas that most big camera brands have failed to integrate well, or that otherwise tends to be sold as an extra add-on in some more recent models. But does the NX20’s Wi-Fi functionality, in conjunction with its large APS-C sized 20.3-megapixel sensor, justify the £900 price tag? The Samsung NX20 was introduced in the middle of April 2012, and is the upgrade to the NX11, adding a 20.3 megapixel sensor, Full HD video, and built in Wi-Fi, as well as a swivelling 3 inch AMOLED screen.